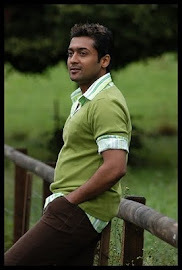 Versatile actor Surya has already started shooting his next film ‘Maatran’ with director K V Anand. His upcoming Diwali release ‘7am Arivu’ is one of the most touted films in the industry that he had given all his best under the direction of ace director A R Murugadoss. 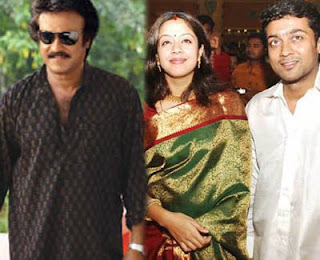 Recently, the actor and his wife Jyothika visited the residence of superstar Rajinikanth to wish him a grand come back to films. But, the celebrity couple could not meet the superstar as doctors had also come for the regular check-up. The couple did not get disappointed but handed over a nicely packed gift to the close family members to give it to the legendary actor. “We did not want to disturb him so we handed over the gift to the family members. I think Rajini sir would have seen the gift by now”, says the actor. Jyothika has acted with superstar in the super duper hit film ‘Chandramukhi’!